The onset of a chronic illness can drastically alter the course of your life! Do dark days overwhelm you as you try to adjust to your new reality? filled with fun, laughter and joy? 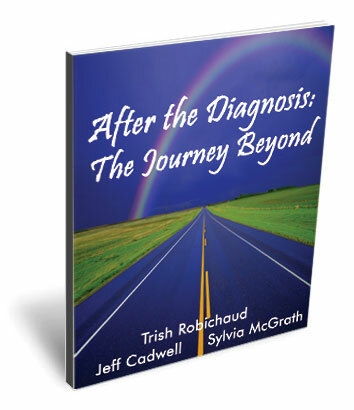 The authors of “After The Diagnosis: The Journey Beyond” Trish Robichaud, Jeff Cadwell and Sylvia McGrath, know all about what you are experiencing. They are living life filled with optimal health, while coping with chronic illnesses themselves. They urge you to begin a step-by-step journey through the various stages of learning to “have a life” in spite of your chronic illnesses. This book is jam-packed with life improving information, uplifting inspirational quotes, poems and exercises to help you develop the essential coping skills you need to move forward and get the most out of your life. follow your road to the rainbow!